I like all odd, innovative, artful, inspirational things. I trade in Silicon Valley mindset, innovation, foresight mindset, creativity, intrapreneurship & gamification. Born and raised in Vienna/Austria, I live now in Silicon Valley. I have a PhD in Chemical Engineering and an undergraduate degree in international business. I worked for SAP in Germany and California for many years in development and innovation management. I have been living in Silicon Valley since 2001 and worked with many startups. I founded two companies, organize conferences and meetups on innovative topics and do Silicon Valley inspiration tours. And I do speak at many conferences and events. I consult many Fortune 500 companies around the globe and conduct workshops on Foresight Mindset, Innovation, Silicon Valley-Mindset, Creativity, Intrapreneurship, and Gamification. I also look at signals of emerging technology trends and how they impact society, politics, or employment. I write books (12 so far) and regularly publish articles on technology topics. A recent book is Das Silicon Valley Mindset (in German) and elaborates on 400 pages the elements that form the innovative and entrepreneurial mindset in Silicon Valley and how we can combine that with our own strengths. My most recent book The last driver license holder came out in German on October 12th, 2017. 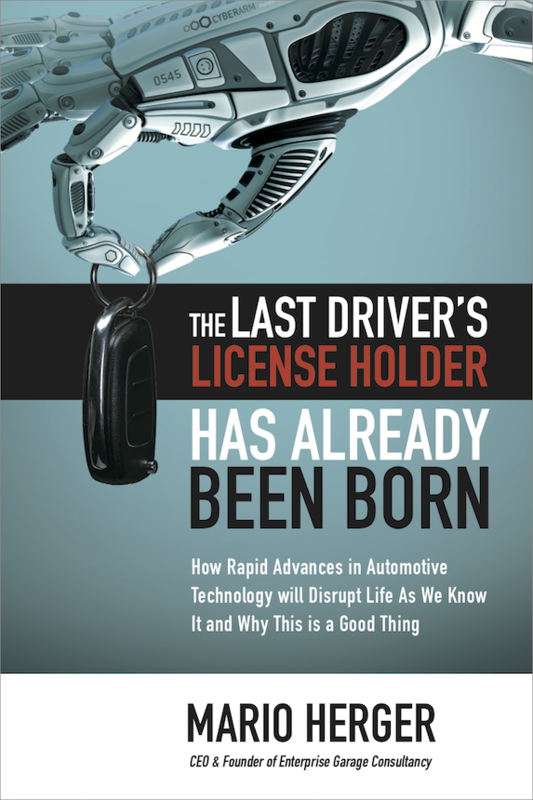 On over 500 pages I look at converging trends such as autonomous driving, electric vehicles, or shared driving, which are heavily driven by Silicon Valley and discuss the potential implications for the automotive industry, cities, and societies at large. Connect with me on LinkedIn or send me an email. An updated list of my upcoming talks – including more videos of my talks – can be found here.